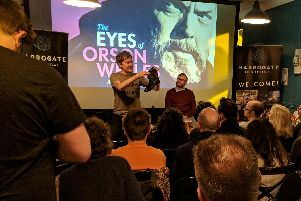 A crime wave hits Harrogate today as the Theakston Old Peculier Crime Writing Festival - the world’s biggest celebration of the crime genre - kicks off at the Old Swan Hotel. Chaired by Jack Reacher creator, Lee Child, the line-up features giant of the genre, John Grisham, who will be in conversation with Lee Child on Saturday in a special Royal Hall event. Published in more than 100 territories, Lee Child’s novels have been adapted to two Hollywood films starring Tom Cruise. John Grisham is a name synonymous with the modern legal thriller; the lawyer-turned-author has had nine of his books adapted to film. Special guests also include the ‘New York King of Crime’ Don Winslow, who has sold over 100 million books. His latest, The Force, about a corrupt New York cop, has earned him the best reviews of his career. Special guests over the long weekend include Denise Mina, Nicci French, Val McDermid, Laura Lippman, Linwood Barclay and Sophie Hannah. Title sponsor Simon Theakston has supported arts charity Harrogate International Festivals since the beginning when they co-founded the festival with author Val McDermid and agent Jane Gregory more tha 15 years ago. The link of the beer to the world of crime is rooted in a unique historical provenance. Masham, where the beer is brewed, is a Court of the Peculier. During the Crusades, Masham was asked to look after its own legal affairs and granted a seal to authorise the legal output of its court.